Sweet Spring Recipes to Obsess Over. I think by now most of us are tired of this crazy cold winter and are growing more and more excited that spring is on the way! If I can’t have warm weather and sunshine, I can at least enjoy sweet spring recipes to help brighten my mood. 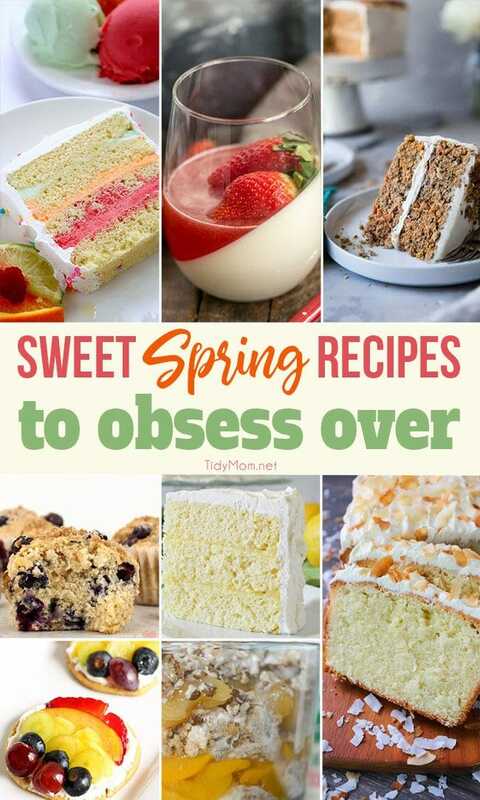 Serve up one of these spring dessert recipes, like Easy Spring Sherbet Cake, and make everyone glad that spring has finally sprung! This Easy Spring Sherbet Cake will be great for Easter dessert or spring and summer parties! Super simple since it starts with a boxed cake mix then layer with refreshing sherbet. Light and delicious! Vanilla Panna Cotta topped with Strawberry Gelée is an elegant, dreamy way to end a meal! If you dare, tilt your serving glasses while layering for a gorgeous presentation. This Healthy Gluten Free Sugar Free Carrot Cake is SO moist and tender, you’ll never know it’s low carb, oil and butter free, made with Greek yogurt, only 170 calories and 5 WW Freestyle points! Perfect for Easter! Blueberry Streusel Muffins are delicious for breakfast or as a snack. The muffins are filled with blueberries and covered with a streusel topping. With all the fresh lemons in the store, Lemon Chiffon Layer Cake is perfect for spring! Mini Rainbow Fruit Cookie Pizza is a great healthy option and encourages them to eat more fruit! Kids will have fun creating their very own fruit rainbow! As we head into spring and the upcoming Easter season, this Carrot Cake Trifle should be a must on your dessert list! This is the ultimate Coconut Pound Cake Recipe! Made with cream of coconut, and sweetened flake coconut this ultra-moist pound cake is a must-make for every coconut lover. Perfect for Easter Brunch, Mother’s Day or anytime! This is week 400 (8 years) of hosting this I’m Lovin’ It linky party. Each week I feature some of the posts that caught my eye from the previous week. Please take a moment to visit the featured blogs ……..then scroll down to see what’s being shared this week. 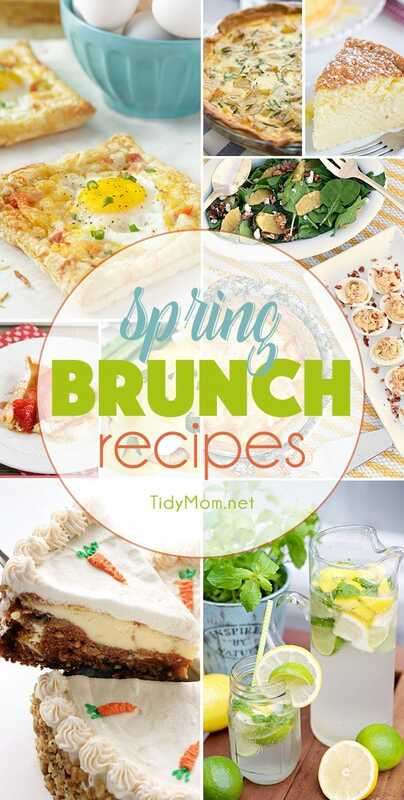 Spring Brunch Recipes will have you looking for a reason to get together with family and friends. 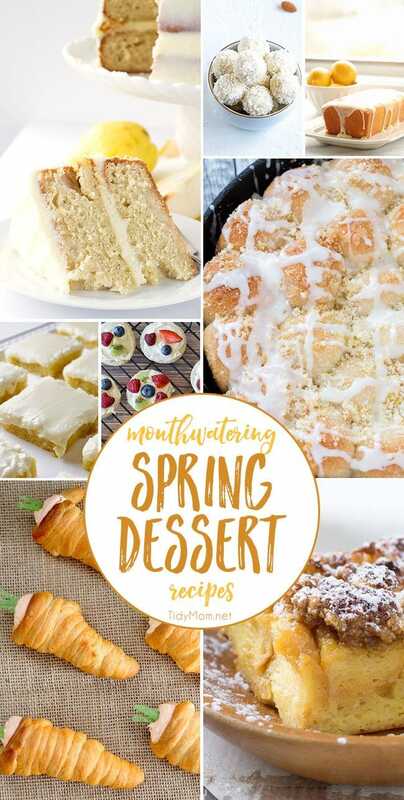 Mouthwatering Spring Dessert Recipes. 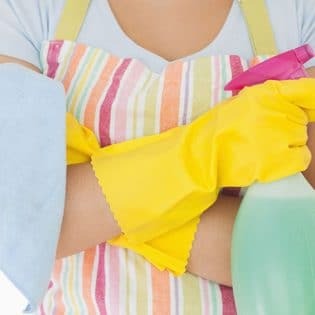 You will want to make them all!! 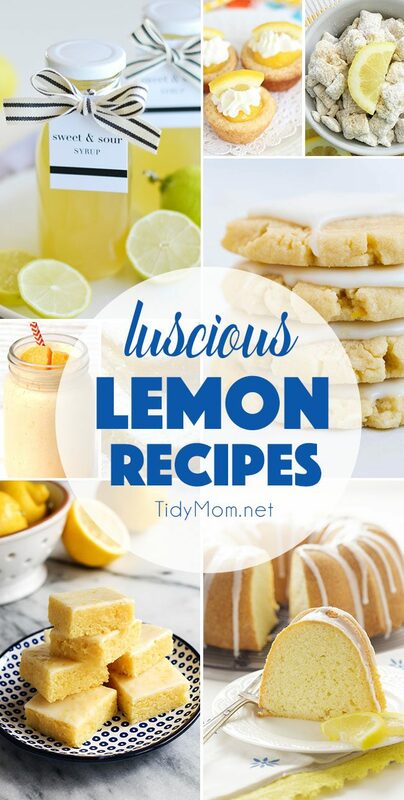 Luscious Lemon Recipes to make this spring and summer! 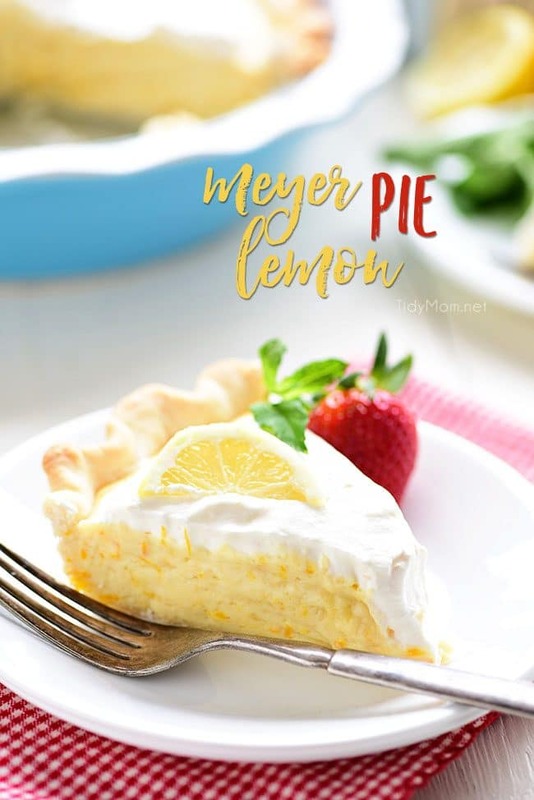 Meyer Lemon Pie packs a ton of lemon flavor with a fluffy texture to a simple homemade dessert. Pops of sweet tangy Meyer lemons are perfect for spring. The pie is not overly sweet and has lots of citrus love all the way through to the homemade whipped cream for the top! 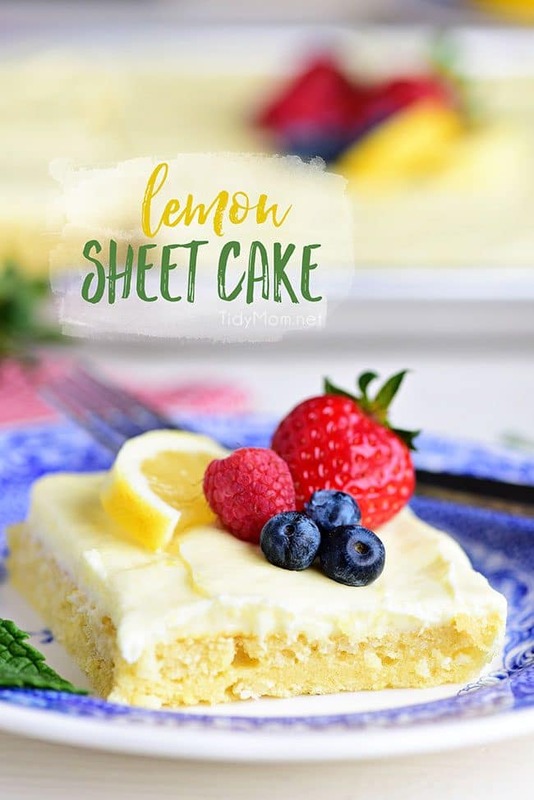 This no-fuss lemon sheet cake is super moist and makes a wonderful spring or summer dessert that easily feeds a crowd. It may not be a fancy cake, but each slice is pure lemon bliss! Thank you for featuring the Carrot Cake Trifle recipe! Thank you so much for featuring my recipe this week with these other yummy desserts! Thanks for the feature, Cheryl! 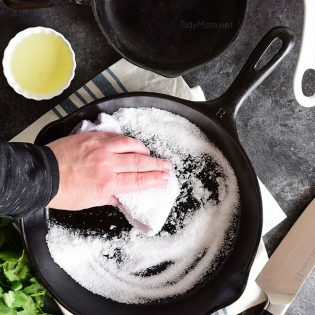 Pinning so I can try some of these fabulous spring recipes! OMG – I AM obsessing – those all look incredible!!! I know what I’m doing tomorrow 😉 Have a great weekend Cheryl! All these recipes look so delicious! I can’t wait to try all of these out for Spring, especially for Easter! They have gotten me so excited for Spring! Thank you for the lovely post!